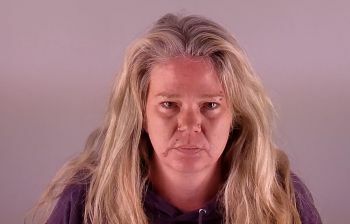 BEND, OR -- The Alfalfa woman accused of driving under the influence and killing a cyclist on Dodds Road, Saturday, has been charged with DUII before. Shantel Witt faces Manslaughter and other charges after allegedly crashing her pickup into 38-year-old Marika Stone, a local dentist, competitive cyclist and mother of two. Deschutes County District Attorney John Hummel says the previous DUII isn't technically on her record, "She was arrested for DUII and charged with DUII in 2014 here in Deschutes County. Under Oregon law, everyone who is charged with DUII for the first time is eligible for what's called a Diversion Program. She completed it successfully. And then here she is today, second time charged with the crime; but she wasn't convicted last time." Hummel says if a person charged with DUII in Oregon completes an alcohol treatment program and doesn't get another traffic citation within a year, the previous charges are dropped. He's confident that won't happen this time. "I think she's guilty and she's not eligible for the diversion program; that's not something that's available a second time for DUII, and it's not something that's available for manslaughter," Hummel tells KBND News, "I believe she drove impaired and she caused the death of Marika Stone, so we will be prosecuting her and moving forward seeking a conviction." Witt was arrested and booked into the Deschutes County jail after Saturday's crash, and bail was set at $270,000. The 41-year-old posted the required 10% of that bail amount and was released over the weekend. Hummel expects to present the case to a Grand Jury this week. Witt is scheduled to be arraigned January 16.